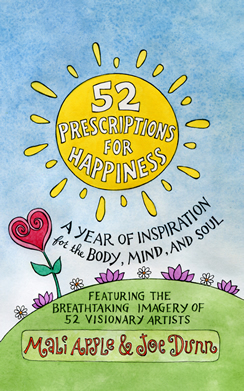 Download the first four prescriptions from 52 Prescriptions for Happiness! to open up your body, expand your mind, and nurture your soul. To get your free prescriptions, enter your name and email below. If you enjoy what you read, we know you will love the rest of the book! and may unsubscribe at any time.